Join us this week as we welcome the Americana/Folk Rock band, Sundy Best. Hailing from Prestonsburg, KY., Front porch melodies and song lyrics grown out of the rocky topsoil of Eastern Kentucky’s Appalachian Mountains intertwine Sundy Best’s roots in every song they sing. They are storytellers and balladeers. They are crowd rockers and party starters. The band’s visceral sound and incredible live shows have gained them a loyal following of dedicated fans from the hills and hollers of Appalachia, all the way to the bustling one way streets under downtown city lights across the south. There are mountains in their music- valleys of love lost and missing home, peaks of rowdy Saturday nights chasing Kentucky women, and the journey in between. With influences ranging from country, bluegrass, rock, soul, and rhythm and blues, the duo produces music that, at times, is hard to classify. That’s just fine by Kris Bentley and Nick Jamerson. No need for a radio template, just the strum of guitar strings, bass and snare, life lyrics, and the family, friends, and fans that make it all worth it. Every song is a reminder that they have not forgotten where they came from. So put some Kentucky Bourbon in a mason jar, walk barefoot on cool grass, play Sundy Best loud and dance until your roots show. We will talk with them about their upcoming schedule, get a behind the scenes look at their music, feature their latest songs and ask them to share their message for the troops. 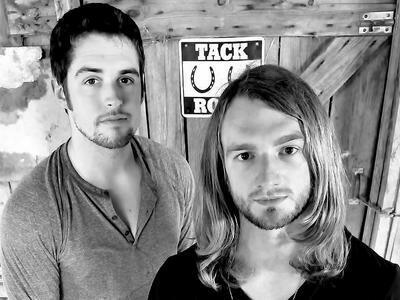 Please be sure to visit Sundy Best at http://www.sundybest.net and spread the word. Fans are welcome to call in and chat live with them during the show. If you would like to participate in the live chat during the show, you must sign up on the show site first and then log in during the show. Be sure to join us, Sunday 5/19/13 at 4 PM EDT! Our message to the troops....WE do what we do, because YOU do what you do.